Do you sing in a choir? Do you want sing with more EMOTION? Do you want to experience more EXPRESSION, ARTISTRY, learn technique and experiment with LINGUISTICS? Cruising Your Voice is the place to be. It’s a class for adults who want to have fun and focus on these CORE singing elements. At Cruising Your Voice - We PLAY! Want to see massive vocal improvement in a rocketing 10 week vocal intensive? Want to unlock sounds you’ve only ever dreamed off? In any style? Want to sing higher, louder and with more freedom than you’ve ever had? Want to unlock that rock god in you or find the killer soprano? Want guaranteed individual time with Tim every week for 10 weeks? Want all this and MORE with a 100% money-back guarantee? = 30 live hours in total. Vocal improvement from day one, giving you new, wholistic vocal techniques we call 'The Vocal Alchemy Method' which gives you the freedom to sing confidently in every style of singing, sooner. 4 rounds of personal feedback from Tim over the 12 month period to help you consolidate the Vocal Alchemy Method, during and after the 10 week intensive. Participants will follow the below schedule course of LIVE Masterclasses plus ONLINE lessons. Participants will need access to an online computer for at least two hours per week. 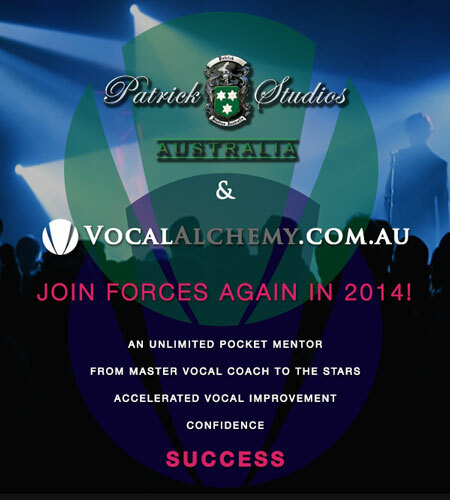 Vocal Alchemy ACCELERATED is guaranteed to empower you to make huge changes in your singing. With the mix of LIVE Masterclasses and online lessons, Tim promises that whatever you want for your voice, he can help you do it! 7pm-10pm, Vocal Alchemy Studios, Brighton. VA’s ALS is based on the fact that we learn through repetition. VA ALS uses multiple double back curriculum loops - summary lessons - to ensure new singing techniques are given the chance to become habits. The online videos are further supported with downloadable mp3s that follow the same learning approach and that sometimes contain additional extension exercises. EMOTION, conveyed EXPRESSIVELY, expanded LINGUISTICALLY, supported TECHNICALLY, overseen ARTISTICALLY = how we sing. VA ALS focuses on these 5 CORE elements in turn. EMOTION comes from the primal voice and is without linguistic language. These primal emotive sounds are grunts, moans, screams, cries, laughs, sobs and so on. These sounds must then be expressed in tonal ways that allow the free-functioning of the body as an instrument, taking into account the emotional, physical and stylistic requirements of the type of music being sung. Then we add words - or not - that intellectually define those originally primal sounds. We support this with appropriate technique in areas such as legit, contemporary, the mixing of both or hybrid. And all of this process is under the direction of the artistic self, grappling with the eternal mysteries of the ‘artistic process'. Vocal Alchemy's ELITE VOCAL SERIES (of online video and audio education, included in the cost of the 10 week intensive and used to consolidate your progress) explores ALL of this. SMASH YOUR 16 BARS will run over 6 weeks with weekly 3 hour sessions, and is aimed at performers who will benefit from working through their audition material guided by a professional Musical Director and Vocal Coach. David Wisken will deliver the Smash Your 16 Bars workshop and will be exploring specific questions applicable to the professional Musical Theatre audition process. Are you lost when it comes to choosing the most suitable audition song, wondering which song to sing and in what key? Do you want to correct bad habits that trip you up vocally, especially when it counts the most? Do you need your audition songs to be edited by a professional musicial director? Do you know how to communicate to the audition pianist in musical terms they understand? Imagine the confidence when walking into your next audition as fully prepared as you can possibly be. Professionally edited sheet music for two audition ready songs showcasing your best 16 bars. Two MP3 piano rehearsal tracks of the 16 bars of your selected material. Plus a one-month Elite Subscription to Vocal Alchemy Online Series valued at $49.95 - including the first six lessons for online vocal support during the course. Improved audition technique, including - coping with mistakes/surprises, engaging your audience and combating nerves. Places are limited to 8. Don't miss out! Musical Theater including - Up-tempo, Ballad, Comedy, Pop, Rock, Legit, Belt,Disney, Sondheim plus Acoustic & Folk, Operetta, Jazz & Blues. The Actors Process is a new online talk show for performers all around the world. Host Clare Elizabeth Dea interviews experts around the world including actors, directors, producers, vocal coaches and talent scouts. The cast includes Tim Smith and LA Acting Coaches Howard Fine and Anthony Meindl. The trailer is already live at www.theactorsprocess.tv and the pilot episode with Howard Fine goes live this Sunday 18th May. Please go visit www.theactorsprocess.tv to find out more information and look out for Tim Smith's episode which goes live in June! Vocal Alchemy sponsors a fantastic, professional industry event: Broadway Unplugged. Broadway Unplugged produce a show in Melbourne and Sydney every month featuring Australia’s top Musical Theatre professionals followed by the opportunity to strut your stuff on stage in their open mic competition and win some great prizes. This show will be the second heat of the Project X competition where Open Mic performers can be in the running to win their very own fully produced cabaret! The winner of Heat 1 will also be performing a number with the band in our featured set this week. Whether you are a professional performer, an emerging artist or just interested in getting up and performing your favourite song, Broadway Unplugged is a great opportunity to showcase your talent. In addition to our first place winner we will also be awarding a runner up with a small prize package also. Fully produced season and development of a solo cabaret show by Broadway Unplugged in association with Daniele Buatti Productions and venue sponsor The Toff In Town. Package will include graphic design, musical direction, performance coaching by award winning cabaret artist Gillian Cosgriff and rehearsal space provided by The Space Dance and Arts Centre. One year subscription to Vocal Alchemy’s online classes and attendance to one of Tim Smith’s ‘The Broadway Voice’ workshops. A three hour photoshoot with renowned Melbourne photographer Micheal Priestley for head shots and promotional material. A 12 class pass for dance classes at The Space Dance and Arts Centre. Musical Theatre Anthology donated by Hal Leonard Australia. Attendance to one of Tim Smith’s ‘The Broadway Voice’ workshops. A 6 class pass for dance classes at The Space Dance and Arts Centre. Check out Broadway Unplugged's Facebook event page for more details. 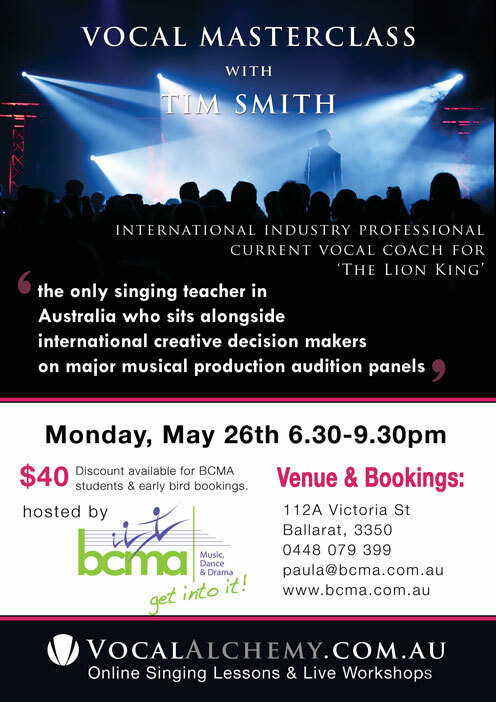 We are proud to announce that Vocal Alchemy's Tim Smith - the only singing teacher in Australia who sits alongside international decision makers on major musical production audition panels - will be taking a 3 hour vocal masterclass in Ballarat at BCMA on Monday 26th May from 6.30pm-9.30pm. Cost: $40 - Book now to get a discount! Email: paula@bcma.com.au to book your place, limited spaces available. Tim was the co-creator of the VCA musical theatre course. He is currently the Vocal Coach and Associate Musical Director for the 'Lion King'. 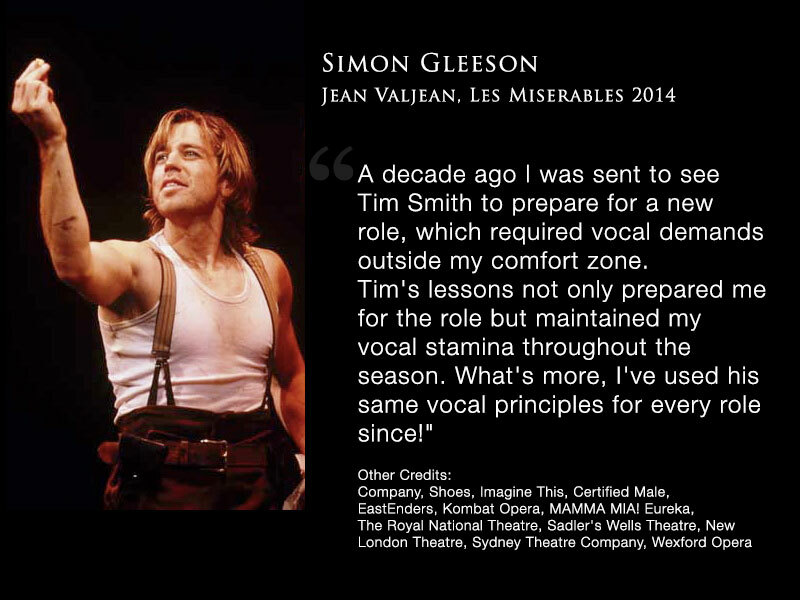 He has also been Vocal Coach to Lucy Durack for Legally Blonde and resident Vocal Coach on Mamma Mia and Billy Elliot - the list is much longer - for more information about Tim's credits click here. using the code word ALCHEMY. Performing a rich selection of Broadway songs from her extensive songbook, including standards, Rodgers and Hammerstein and Stephen Sondheim to name a few, Broadway's brightest star. Bernadette Peters will dazzle audiences in a glamorous and magical evening of song with a full orchestra as only Bernadette can do. Throughout her illustrious career, the Tony Award-winning actress has amazed critics and audiences with her performances on stage and television, in concert and on recordings. Bernadette Peters recently starred on Broadway in the Stephen Sondheim and James Goldman critically acclaimed production of Follies. Prior to that, she starred in the Tony Award-winning masterpiece, A Little Night Music. She has received both the Tony Award and Drama Desk Award for her critically acclaimed performance in Andrew Lloyd Webber's hit musical Song and Dance. 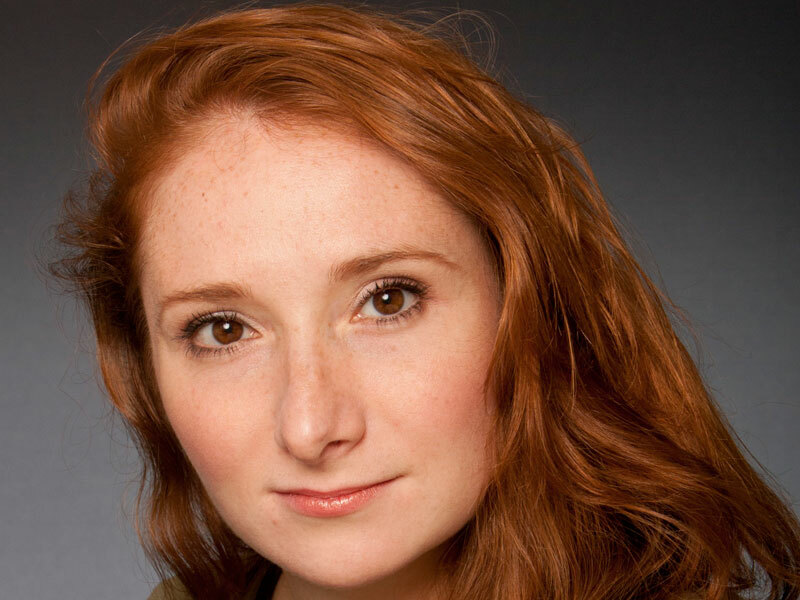 She went on to earn a Tony Award, her third Drama Desk Award, and an Outer Critics Circle Award for her portrayal of Annie Oakley in the Tony Award-winning Broadway revival of Annie Get Your Gun. Peters has also received Tony nominations for her electrifying portrayal of 'Momma Rose' in Gypsy as well as for her role of 'Dot', Stephen Sondheim's Pulitzer Prize-winning musical Sunday in the Park with George. She also received a Drama Desk nomination for her memorable 'Witch' in Stephen Sondheim's Into The Woods. An Emmy-nominated performer of amazing versatility, Peters has starred in such television hits in the US, as SMASH, Grey's Anatomy and Ugly Betty, among others. Bernadette Peters has over 17 film credits to her name and has received a Golden Globe Award for her memorable performance in Pennies from Heaven. The New York Times proclaims, 'As an actress, singer, comedienne and all-around warming presence, Bernadette Peters has no peer in the musical theatre right now'. Adrienne Angel received her musical education at North Carolina's High Point University and at the Juilliard School in New York City. Her ability to articulate simply and clearly the principles of free efficient sound production has been equally successful with singers, actors, and dancers. Her approach has enabled them to use their voices more effectively and consistently in a very short period of time, whether it's to meet the demands of Broadway musicals, TV and Film or Rock and Roll. As a voice teacher and musical theatre specialist, Adrienne's past and present students include: Bernadette Peters (since 1983), Cher, Ann Reinking, Mary Tyler Moore, Christine Baranski, Kenneth Branagh, Armand Assante, Whoopi Goldberg, Jane Krakowski, Cybill Shepherd, Jason Alexander, Joel Gray, Swoosie Kurtz, Joan Jett, Sheena Easton, Bridget Fonda, and Jessica Walter. Discover Adrienne's invaluable insight into her 7 Deadly Sins in this 3 hour Masterclass. Adrienne will be joined onstage from 12.30 to 1pm by Bernadette Peters for a Q&A session not to be missed. This is truly a once in a lifetime opportunity to learn from two of the world's best musical legends. Danielle Matthews stars as Shirley Bassey! What great and proud news! Vocal Alchemy first came into contact with Danielle when she was studying at the VCA after Laura & Tim (Vocal Alchemy creators) created and delivered the vocal & dance elements of the newly developed VCA musical theatre course. the man's a genius and I'm so lucky to be able to learn from him." And that's not all she has to say: click here and scroll down for what else she has to say about Tim Smith. Vocal Alchemy is thrilled that so many of our graduates are working & excelling! Samantha Dodemaide wins the Rob Guest Award! Presenting the extremely hard working and exceptionally talented Samantha Dodemaide - and gorgeous to boot! The team here at Vocal Alchemy is so proud of Sam's ongoing success - the award couldn't have been more deserved. Sam has appeared in Wicked (USJ), Anything Goes (TPC), The Producers (TPC), and A Chorus Line (TML) in which she understudied and performed the role of Cassie, as well as understudying the roles of Shelia, Diana, Maggie and Judy. Sam has most recently finished performing alongside some of the world’s finest actors in A Funny Thing Happened On The Way To The Forum (GFO) & King Kong Live Onstage. An extraordinary list of credits for someone so young! Since working with Tim, my entire world of singing changed. He unleashed so many elements and qualities in my voice I would never have even imagined existed. He showed me that I can be a diverse vocalist and that I didn't need to box myself into one kind of singer. He has also made so clear to me how to use my voice to it's greatest potential. My advice to anyone considering learning from Tim is not to waste a moment longer. Anything that you can learn from this man will change your life!!!!! PSA and VA join forces again in 2014! Patrick Studios Australia were the first full time studio to adopt Vocal Alchemy into their music theatre full time curriculum. The students have achieved accelerated vocal improvement throughout 2013 and we look forward to another successful year in 2014. 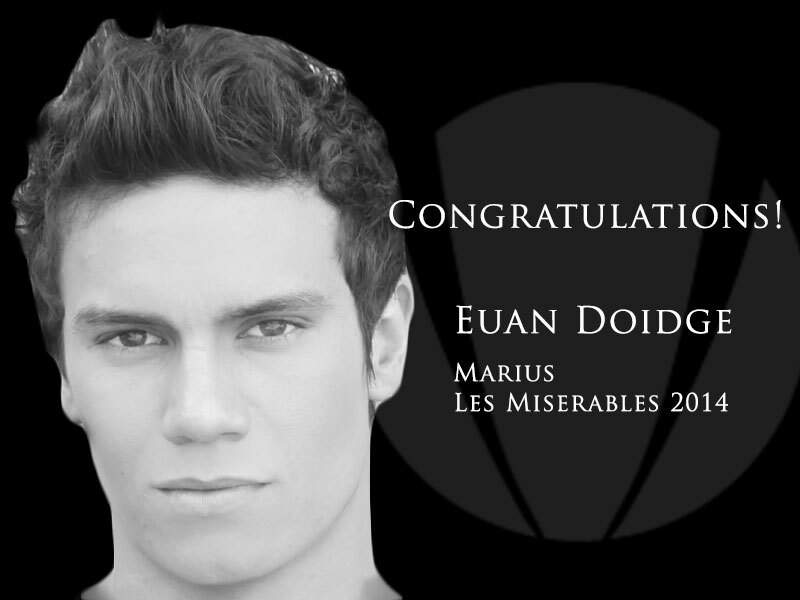 Euan Doidge - a Vocal Alchemy student and student of PSA will play the role of Marius in the Australian stage version of Les Miserables in 2014 following his roles in: A Chorus Line, Legally Blonde, Anything Goes, The Producers and Grease. VPAC take on Vocal Alchemy in 2014! 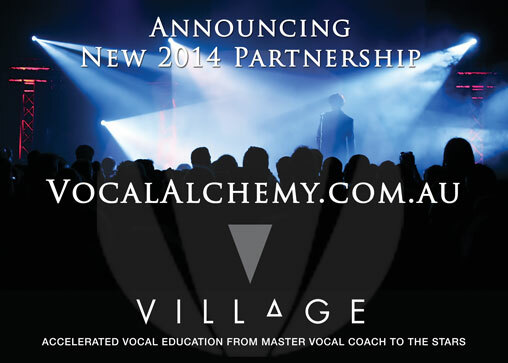 Vocal Alchemy (VA) is extremely proud to announce that leading Sydney organisation: Village Performing Arts Centre will adopt Vocal Alchemy's accelerated vocal education into their full time course in 2014. VA online singing lessons are designed to either stand alone, or become a complementary tool for any singing program already in place. VA is an ‘unlimited pocket mentor’: the perfect tool to enable students to learn and practice, whenever they feel inspired to do so. Students can access their VA lessons from their own personal iPhone, tablet, laptop or desktop once connected to the internet. The online platform enables students to access a guided singing lesson every day, go back over previous concepts as required, all in privacy and at their own pace. Then they can come into group singing lessons to ‘show and tell’ and tweak and polish their new skills, accelerating their improvement in comparison to traditional methods of vocal education. Vocal Alchemy students cast in Les Miserables! All the very best for your season! Jessica Condon gets VCA Scholarship: $24k!! because coming from a classical background I had never done that before! it is definitely the reason I got into the Victorian College of the Arts Musical theatre course - AND I have just been awarded a scholarship for outstanding undergraduate winning $24k - an amazing outcome! It is with great pleasure that Vocal Alchemy announces Glenn Hill as the winner of the 2013 Rob Guest Endowment. Glenn won $10,000 to further his study overseas. The Broadway Voice, 2013 Live Vocal Workshop in Sydney. Since then Glenn has visited Melbourne to work privately with Tim and we are all delighted with the result. students. Apart from Glenn, we also congratulate Euan Doidge for making it into the finals of this prestigious national competition. Both Glenn and Euan are currently appearing in LEGALLY BLONDE. OMIGOD you guys! Huge congratulations to Lucy Durack who has been cast as Elle Woods – the lead in the forthcoming Australian production of LEGALLY BLONDE. This is wonderfully exciting news for us all here at Vocal Alchemy because Lucy is a client of ours. That’s right, Lucy Durack is one of Tim’s students here at Vocal Alchemy! You may know that Lucy gained national attention for her portrayal of Glinda in the Australian blockbuster production of WICKED. What is required for the role in LEGALLY BLONDE however is an entirely different vocal sound and setup. To help prepare her for this change, the Australian and English producers contacted Vocal Alchemy to help prepare Lucy for the demands of the role. And so it began. Lucy has worked incredibly hard between sessions adjusting her singing technique and was ultimately rewarded with winning the role after travelling to London for her final audition at the end of 2011. 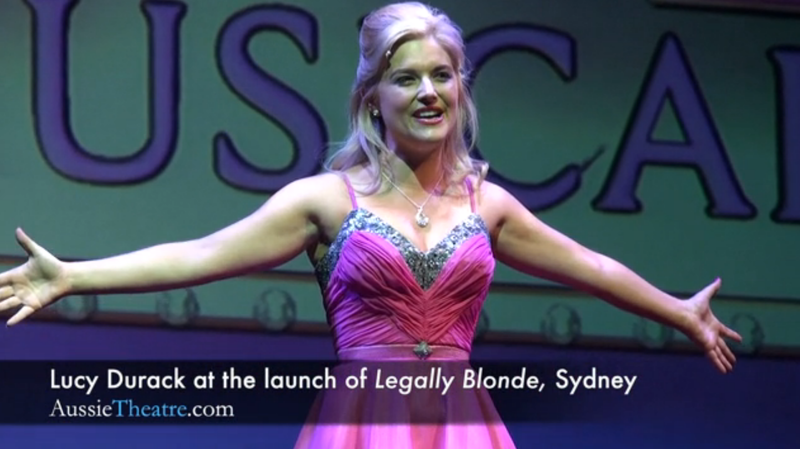 Watch Lucy at the Australian launch of LEGALLY BLONDE. Once again, huge congratulations to Lucy Durack, a Vocal Alchemy client on winning the coveted lead role in LEGALLY BLONDE. Vocal Alchemy has just returned from the inaugural European workshop/promotional tour, giving workshops in Ireland, Scotland, England and France! We also ran separate SING WITH TIM sessions for new subscribers and followed these up with private voice sessions in each city we visited. The Vocal Alchemy Team worked very hard during the whole tour and we’re already making plans to return to the UK/Europe in six months to support new subscribers and to offer more free workshops promoting the website. Our friends in Wexford – outside of Dublin - organised and hosted our 3-day visit to Ireland. And what a delightful bunch of people were the Irish! We sang, laughed, sobbed, laughed, cried, sobbed and belted our way through workshops, small group sessions and private lessons as we gave them all the Vocal Alchemy treatment! We learnt some “Irish” whilst there, but it’s too rude to put here on the website! Edinburgh was next and after a 5.00am start to the day we flew our way across the Irish sea in preparation for that evening’s workshop. We had teachers and Masters graduates from the The Royal Scottish Academy of Music and Drama (RSAMD) amongst the workshop participants and once the Scots got over the fact that Australians are really just “a bunch of convicts” - a good time was had by all! Whilst there we had singers who had been learning privately for 10 years sing higher than they ever had before – a huge achievement during the workshop. In London we worked at PINEAPPLE STUDIOS in Covent Garden which was Dominique’s favourite workshop location – huge thanks to Giles and his team there. We gave 2 workshops at PINEAPPLE and followed the both of these with SING FOR TIM small group sessions, the second one of these at the THE LONDON ACTORS’ CENTRE. (Which had wonderful air-conditioning on the hottest day London had experienced for the whole year! 3 weeks earlier Laura had to but a cashmere cardigan because we were all freezing in Edinburgh!) The Londoners were huge fun and it was also heartening to see a number of familiar Aussie faces in the crowd too. Huge interest for Vocal Alchemy was shown everywhere we travelled and we hope to be returning to UK/Europe every 6 months to support our subscribers and to further promote the workshop. When I was Coordinator of Music Theatre at the VCA, the last class of the week was on Friday nights at 10.00pm!!!! I couldn’t ask anyone else to be teraching at this time so I took the last class of the week. Knowing the students were always at the end of their patience by then, I was careful about what activities I scheduled for that class. Over time it became fondly known as TIM’S RAVE and from time to time I’ll be sharing some of those ideas with you here at VA.
One of the topics I used to on was ‘What is good singing?’ (A limitless topic I know and one with possibly no clear answer, but I asked the question anyway and got the students throwing around ideas for the hour. By the end they always wanted to know what MY answer was, but I never told them…well almost! If I ask you the same question I wonder what the answer would be? (As you can tell by my setup for this blog, I don’t think there really is an answer….but having adjudicated a number of singing competitions around the country, I can certainly tell you what good singing is NOT!!!!!! But I don’t want to look at negatives here, I want to plant a few seeds of positive. 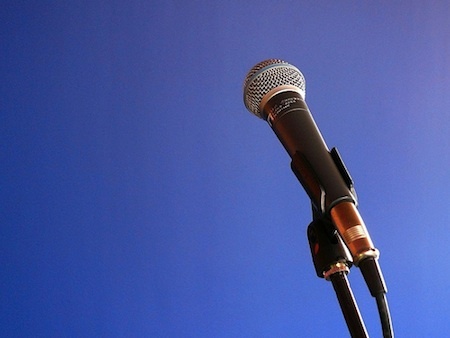 When YOU listen to singing, what is it that you respond to? Is it best if it’s loud? High? Fast? Slow? Soulful? Energetic? Passionate? And so the list goes on…. I could rave about this topic for hours but the real value I think is in merely asking the question and getting you to begin thinking about the answer. With my students at the VCA we would explore all of these possibilities and more but where I was really heading was a simple definition that included almost every vocal style and technique. In other words, I wanted to avoid the answer being based on classical singing OR contemporary singing. That’s’ a difficult thing at first because those two opposing approaches have completely different voice agendas. In classical singing, any effort on the part of the singer should be hidden and the fundamental tonal aim is to sing from low to high, on every different vowel sound with a perfectly even tone. If you apply THESE criteria to contemporary singing then you’ll just be plain wrong. My contemporary criteria would focus instead on the audible perception of vocal effort and most likely have a change in tone as the voice ascended, becoming more ‘energetic’ as the pitch got higher. So where does that leave us now? In a rather bemusing place I think if you’ve been following my argument so far. My answer-and I admit it’s not complete-is one based on ‘resonance versus effort’. What does that mean? Well, it means that in any vocal style, if the effort you’re making for the note is MORE audible than the resonant result, then I think you’re doing it all wrong! Even in contemporary belting there are specific techniques that ensure the effort matches the resonant result. If that’s out of balance though, we move into areas where the average audience member will begin to describe the singing as ‘yelling’ and then we’re definitely in trouble. Vocal Alchemy just gave its first group workshop to 15 full-time Music Theatre students at Patrick Studios Australia (PSA). And what fun we had! All the participants received their free gifts - I won’t you what they are so your surprise isn’t spoiled when you come to one of our free workshops – and then we got down to 2 hours of serious work. We kicked off with a short introduction from Vocal Alchemy’s ARTISITIC PRODUCER Laura Hamilton. Laura is a thirty-five year veteran of the Australian and International stage and has been involved in some of the biggest musicals ever produced in Australia. On top of that, she has held various positions as Choreographer, Resident Director, Company Manager and also worked the back office of big touring shows in positions alongside general mangers and executive producers so she really knows her stuff. After Laura set the scene, I began with the participants. We learnt two short Vocal Alchemy songs as ‘source’ material and went from there. We explored all manner of things as a group from specific techniques involved with contemporary singing, to talking about ‘belting’ as a vocal approach to the classical overlay ‘sob’. All of this was explored through the world of the actor/the artist which is of course central to the whole Vocal alchemy approach. We spent time on vocal exercises that got us all thinking about ‘state. This was further examined through an exploration of the question “How do you FEEL when you sing?” Of course this is a HUGE question and we only touched the tip of the iceberg here but nonetheless the participants all felt empowered by some new-found vocal techniques and certainly had their performing and singing worlds turned upside-down by some of the world-class ideas that are at the heart of the Vocal Alchemy video series. It was a great FIRST WORKSHOP and I’m very much looking forward to further workshops around Australia in the next few weeks before we head off to Europe for the inaugural international tour of Vocal Alchemy World – the workshop tour that we are doing to raise awareness of the website and all the goodies just a click away for singers of every style and genre. Vocal Alchemy - "Feel the difference"
Have you ever wondered about those voices that just rock your world? WHY they do? HOW they do? It doesn’t matter if they’re contemporary or not, if they rock your world, let’s just talk about that! Voices that rock me are really of course people who rock me through their voices. I mean, when you speak it’s you right? When you sing it’s you too! Now learning how to sing better, that’s a whole other conversation altogether and one that is unique to you in all the world. It’s this uniqueness that at VOCAL ALCHEMY I help you explore in all the video lessons. Those of you who are subscribers will know what I mean from watching only the first lesson entitled “I love you”. In it we begin to explore the infinite ways those three words can be sung and what that means for everything you ever sing. If you can only do it one a couple of ways, then VOCAL ALCHEMY will be a perfect product for you and your singing will begin to be transformed after only the first lesson! Talk about immediate gratification! We have HUGE plans for the expansion of VOCAL ALCHEMY. One of our primary aims is to offer live seminars over a number of days to VA subscribers and their friends. Imagine having 50 people in a room all of whom have watched the videos and done their practice. What we could then do! So the plan would be to do all the VOCAL ALCHEMY exercises again live and together and for me then to have the opportunity to hear each attendees sing solo if they wanted so I could further diagnose problems and fix them there on the spot. Everybody would win! So please drop me an email at VOCAL ALCHEMY if you have question or requests about anything singing/vocal/performance related and I’ll do my very best to help you on your quest for the voice of your dreams! I’m so excited for this first VOCAL ALCHEMY blog! My many students over the years have all been pestering me to write a book for many years but I was always reluctant. My ideas about singing evolve every time I hear someone sing. There’s always something for me to learn so I was afraid that once I’d written the first chapter, it’d be out of date! Now that I’ve got VOCAL ALCHEMY, I don’t need to worry about that at all. I can update all the time with blogs and new videos whenever I feel the need to share my latest discovery! YEAH! And after all, that’s what my singing life has been since I was very young. A life of discovery, change and constant evolution. What I think about singing today is not what I thought 5 years ago and it won’t be what I’m thinking five years from now. It changes every day for me. An endless topic of fascination which is so cool because we don’t know everything about singing and we never will because of the human mystery part of the equation. Very cool-endless questions with no complete answers! VOCAL ALCHEMY is the result of over 20 years of professional teaching, lecturing, singing and working. All the ideas I teach in the 32 lessons have been tried and tested in the real world over a very long time. My hope is that as you work your way through the lessons-AND DON”T BE IN A HURRY-you’ll feel and hear the improvement from the first lesson. If you don’t, do the lesson again and listen closer. Singing is a natural and complete part of our human selves and cannot be superficially improved with any lasting effect. Sing, listen, refine. I want your relationship with VOCAL ALCHEMY to be interactive. Please email me with questions or requests for additional video lessons or information you need and I will do my best to respond. In addition-on the 3 and 12 month subscriptions- to that YOU CAN SEND ME AN MP3 OF YOU SINGING with a request for individual help (Sing For Tim). What I’ll then do is diagnose what you’re doing and help with pointers about which VOCAL ALCHEMY lesson can help make you better much faster. I’ll also give you additional pointers where necessary. And then if it’s really cool, I’ll put it on the website - you'll be completely anonymous of course - so other subscribers can then hear as people’s voices change before their very ears! We have HUGE plans for the expansion of VOCAL ALCHEMY. One of our primary aims is to offer live seminars over a number of days to VA subscribers and their friends. Imagine having 50 people in a room all of whom have watched the videos and done their practice! What we could then do! So the plan would be to do all the VOCAL ALCHEMY exercises again live and together and for me then to have the opportunity to hear each attendee sing solo if they wanted so I could further diagnose problems and fix them there on the spot. Everybody would win!